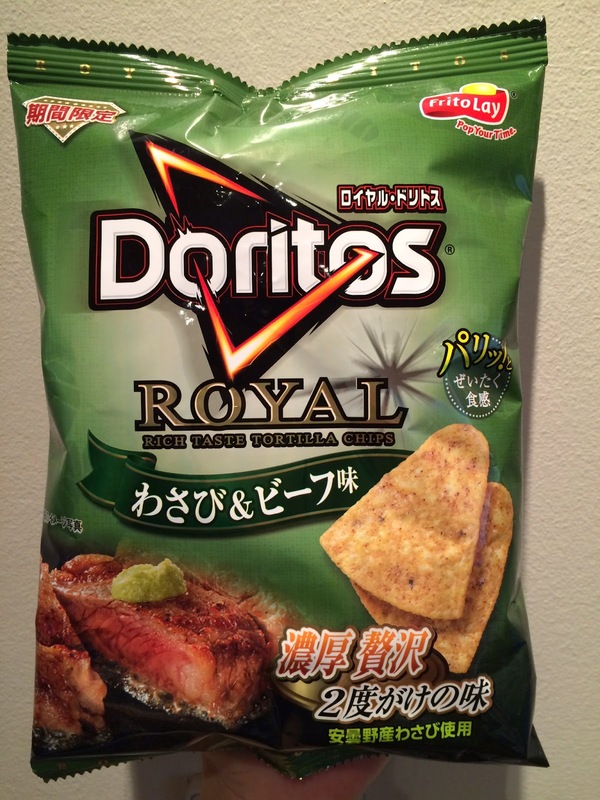 This is another Royal Doritos that my husband bought with Shrimp Mayonnaise Flavor. It's Wasabi & Beef Flavor and launched on February 9, 2015. Wasabi (わさび, 山葵) is a Japanese horseradish. On the right bottom below "濃厚 贅沢 2度がけの味 (Rich Luxury Twice dipped flavor)," it says they used wasabi from Azumino city, Nagano prefecture. 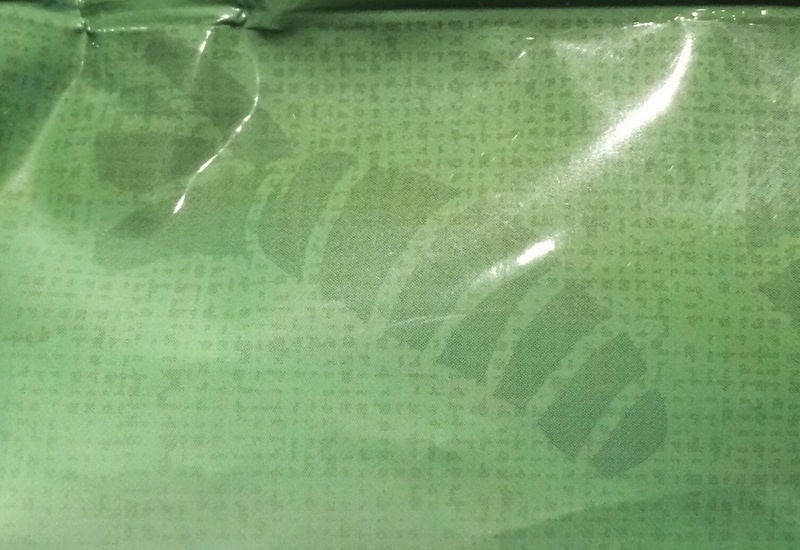 Same as Shrimp Mayonnaise Flavor, there're images of wasabi and wasabi leaves. On the back, there're exactly same lines as Shrimp Mayonnaise Flavor. "When you experience happiness of being adult. 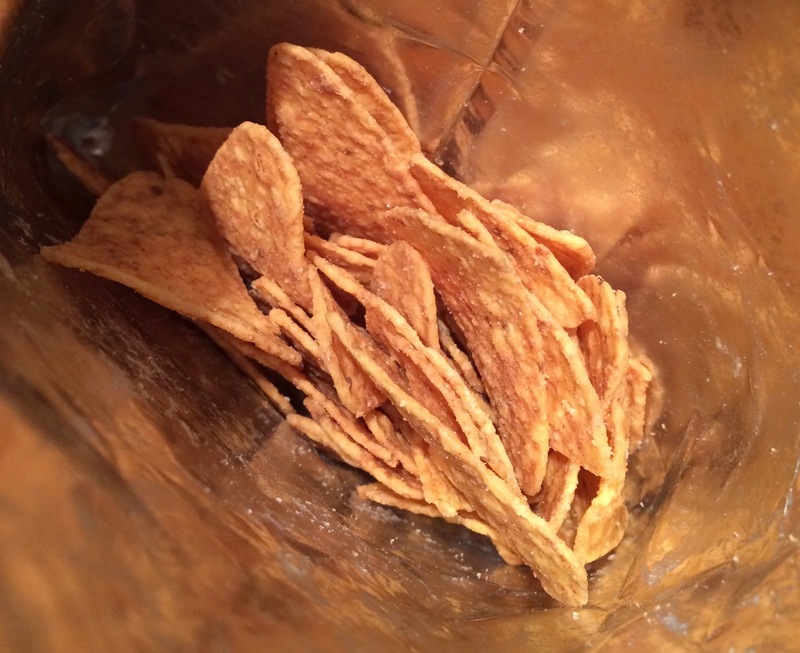 Royal Doritos. It's richly flavored as it's made with a twice dipped process. The tortilla has crunchy texture. 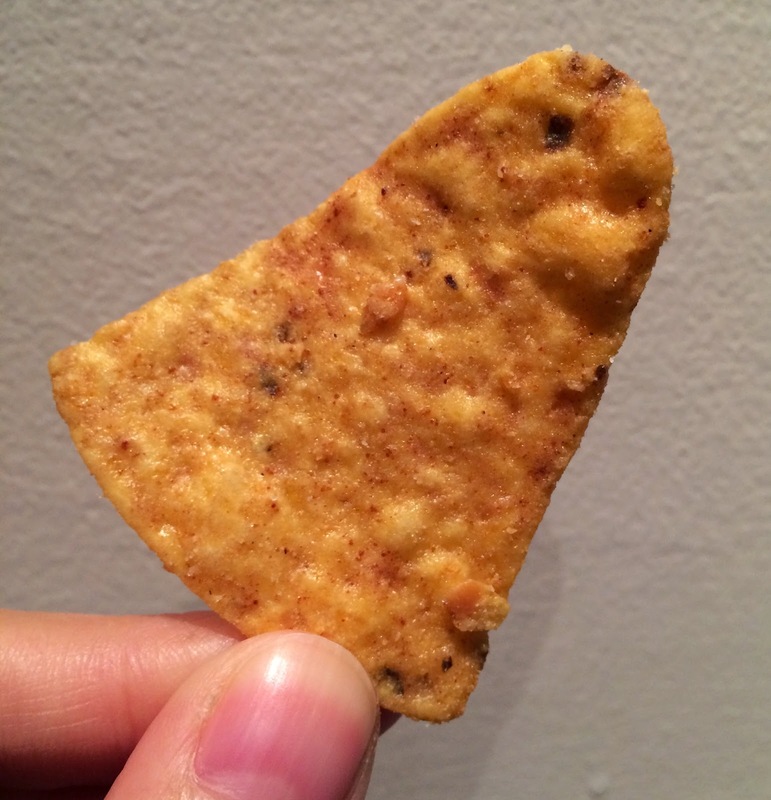 This is the Doritos for grownups with particular tastes." 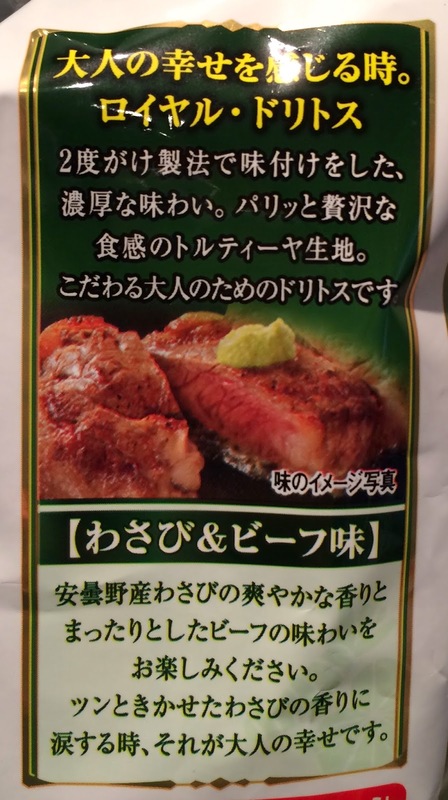 Please enjoy the refreshing wasabi flavor from Azumino and mild and flavorful beef flavor. When you tear for the sharp wasabi flavor, it's the happiness of adults. 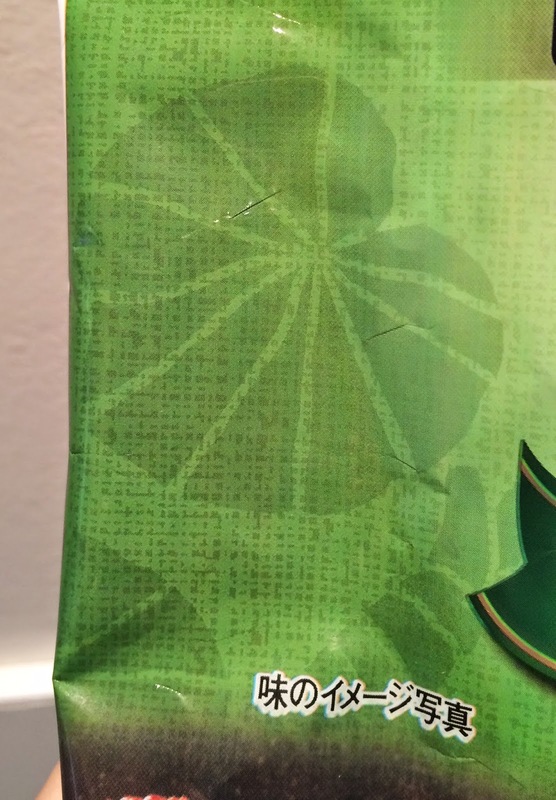 I thought it'd have wasabi flavor and I was prepared myself, but when I opened the bag, I didn't smell any wasabi. It had soy sauce flavor when I sniffed, but as soon as I ate it, wasabi flavor started hitting my tongue and lips, and of course it hurt my nose even after I swallowed this. 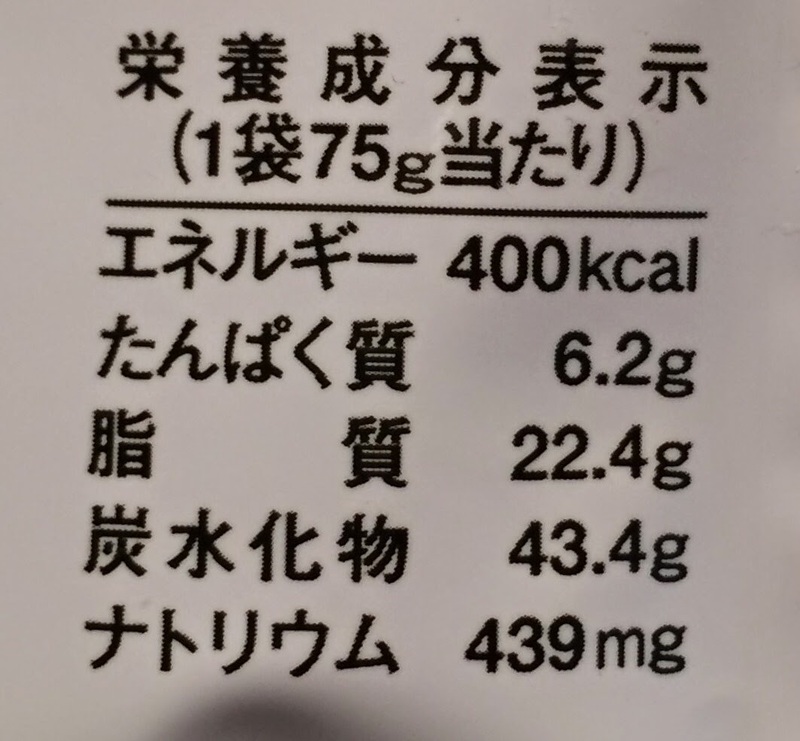 Wasabi flavor was so strong that I didn't notice any beef flavor. I don't like wasabi either, and one piece was enough for me.